The space station is orbiting the earth in a total vacuum, there is no air, so it is a total defiance of the laws of physics to say these organisms were blown into space from Earth. 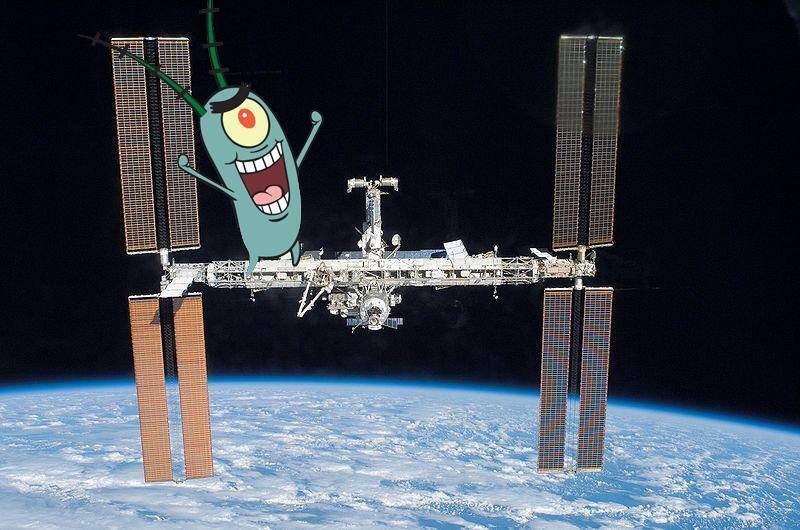 ‘The only explanation is that they have come from elsewhere in space, and this supports long-held theories that plankton, and therefore all life on Earth including humans, originated from organisms in space. ‘Everything that we have on the Earth is derived from space, including humans. The Tusk has long loved Chandra Wickramasinghe since I first came across the cool dude in the 90’s. His work with Sir Fred Hoyle — and every report since — is simply wonderful. Chandra and Fred are either the two smartest wrong guys in the history of modern science or the two smartest period. Chandra made a widely derided contribution to our understanding last year when he identified aquatic diatoms in a meteorite. According to reports this week, one of which I post in part below, his findings are now supported by the collection of marine diatoms from a window of the International Space Station. 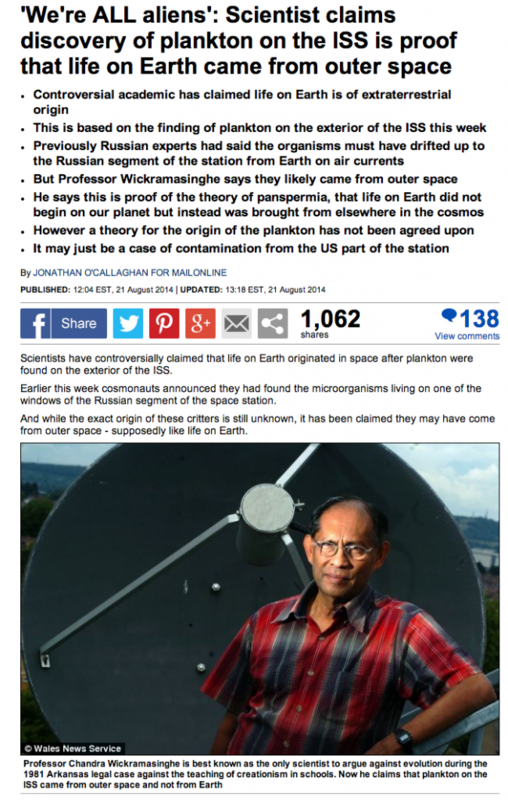 2) Those trickster Russians are deliberately providing false confirmation of Chandra’s kooky claims for unknown reasons. Allow me to make a predictive claim as well: Public interest in the Russian findings will provoke critics to further defame Wickramasignhe. I can already hear Phil Plait typing. If you do not know of Plait, he is a “science guy” who specializes in the defense of the known. His too popular blogs rule out and frequently deride anything outside 3˚ of understood.